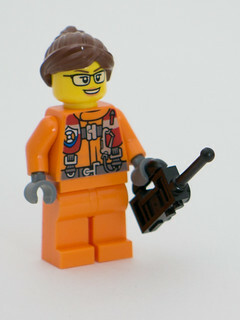 After yesterday’s micro helicopter, we get a woman in a flight suit, with a walkie talkie – or is it a remote control and it’s a drone? 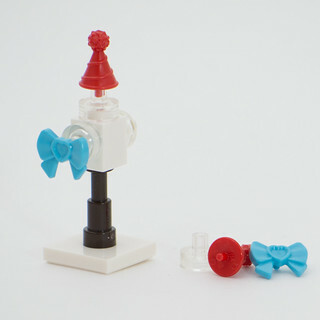 I don’t know what this Friends model is… seems to be some sort of post with a party hat and a bow on it? 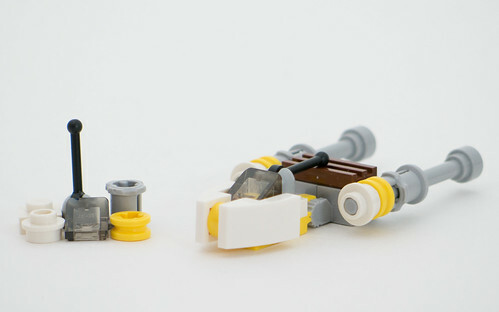 Star Wars goes back to the original trilogy and gives us a Y-wing fighter. 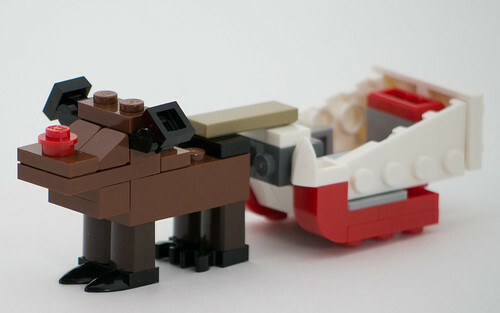 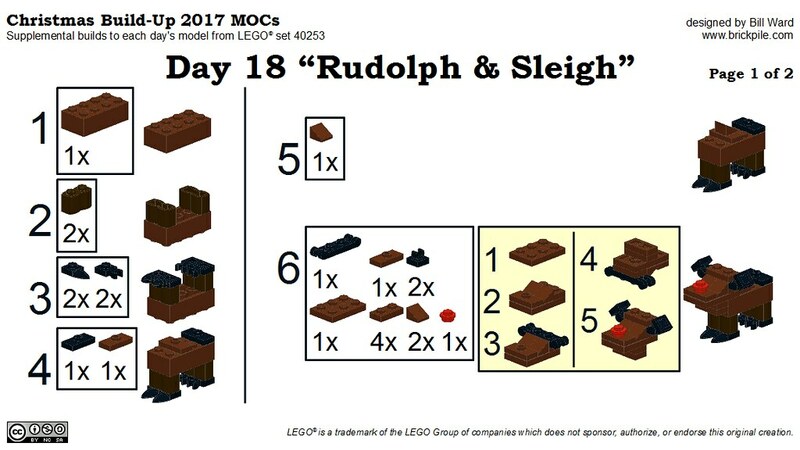 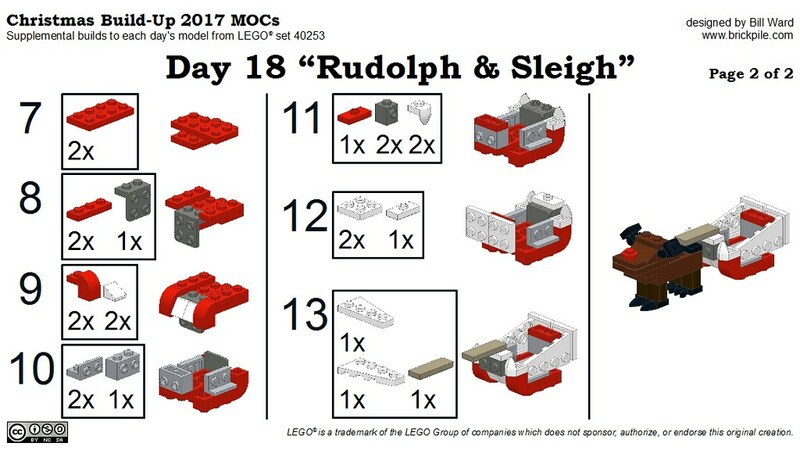 Today’s Christmas Build-Up model is a cute little animal – maybe a hedgehog? 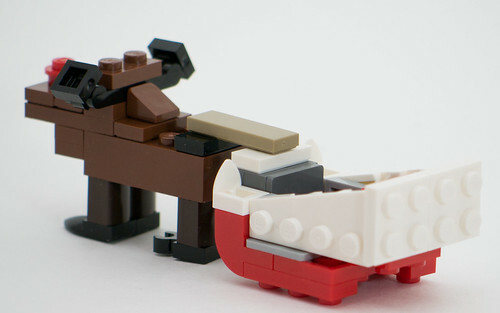 I used leftover parts to build Rudolph and a sleigh. 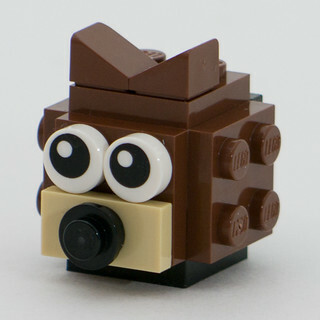 It looks a little odd without eyes, but I couldn’t come up with a better way to do it.